Fast, more efficient, customer-focused: How Körber Logistics Systems is shaping the transformation of the logistics industry through innovation processes and partnerships with start-ups. Committed to innovation in the field of logistics: Dr. Andreas Bahke, Chief Digital Officer (CDO) at Körber Logistics Systems. The world of logistics is undergoing a radical transformation. It is proceeding at an ever-faster pace, with rapid changes occurring in markets and customer requirements. Industrial and logistics companies can benefit particularly from digital advancement — which substantially reduces costs while significantly increasing transparency and efficiency. For example, data glasses support logistics staff by displaying information, self-learning systems manage route planning for merchandise or automatically trigger ordering processes, and autonomous drones conduct inventory of warehouse stocks. The situation is similar with trends such as 3-D printing, blockchain, and last-mile delivery robots. 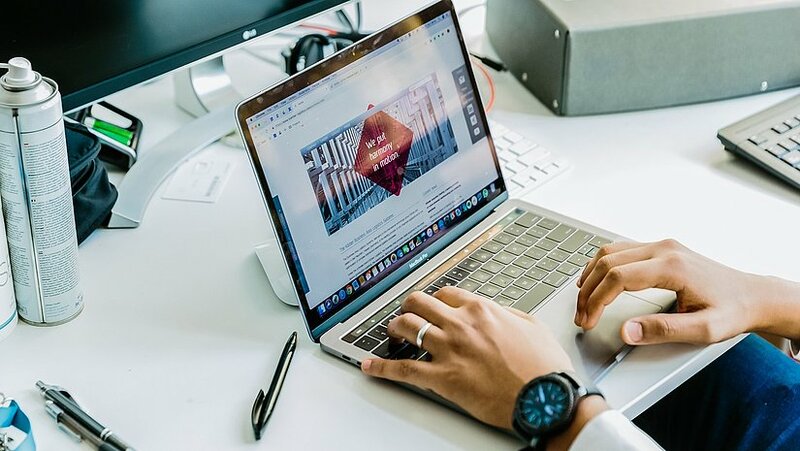 Logistics is also increasingly having an effect on profit margins, as more and more customers in the booming online retail sector are demanding flexible shipping options such as same-day delivery. The Körber Group and its Business Area Logistics Systems are seeking to shape these transformations by means of a Group-wide digitization initiative and the company’s own research activities, as well as long-term equity investments in and partnerships with new start-ups. We connect two worlds, the world of start-ups and that of the Group. These worlds can benefit from one another, but they couldn’t be any more different. A look inside the product warehouse: In the booming online trade, logistics are increasingly becoming a margin driver. The Körber Digital office at Factory Berlin: It’s the ideal location for connecting with the scene and its talents. 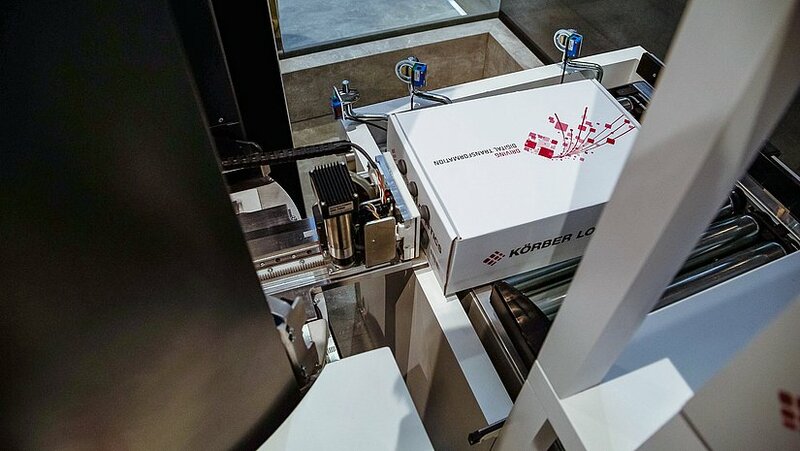 With regard to logistics innovation, Körber Logistics Systems relies primarily on providing support for ideas generated by the Business Units Systems Integration, Product Solutions, and Software. More specifically, the objective is to develop new business models, products, and services, and to optimize existing ones. Here, customer requirements are incorporated into the development process at the earliest possible stage. A pioneering feature is the overarching Körber innovation process, which is based on a stage-gate model in which all ideas undergo a multi-stage evaluation and selection procedure. Dr. Bahke, who hails from the Rhineland region of Germany, knows the challenges that prevail at the interface to the start-up world and is extremely proficient at gauging the potential this interface offers to the Business Area Logistics Systems. “We connect two worlds, the world of start-ups and that of the Group,” says Dr. Bahke. “These worlds can benefit from one another, but they couldn’t be any more different. On one side you have flexibility, speed, and creativity, while on the other you have a solid customer base, decades of experience, and financial strength.” Ideally, the result is a win-win situation. It’s very advantageous for Körber Logistics Systems to be on the scene in places where an especially large number of start-ups are active. Since 2018, the headquarters of the colleagues from Körber Digital has been at Factory Berlin — Germany’s largest start-up campus (see lead picture above). Körber Logistics Systems is also taking advantage of this access to the digital scene. “For us, it’s the ideal location to connect with the scene and its talents and contribute our ideas about the future of the logistics sector,” Dr. Bahke explains. In addition, start-ups with an IT or industrial background are specifically sought. NavVis is one such company: This start-up offshoot from the Technical University of Munich made a big impression on the Körber experts with a high-tech trolley that produces 3-D maps of building interiors that are photorealistic and have centimeter precision. 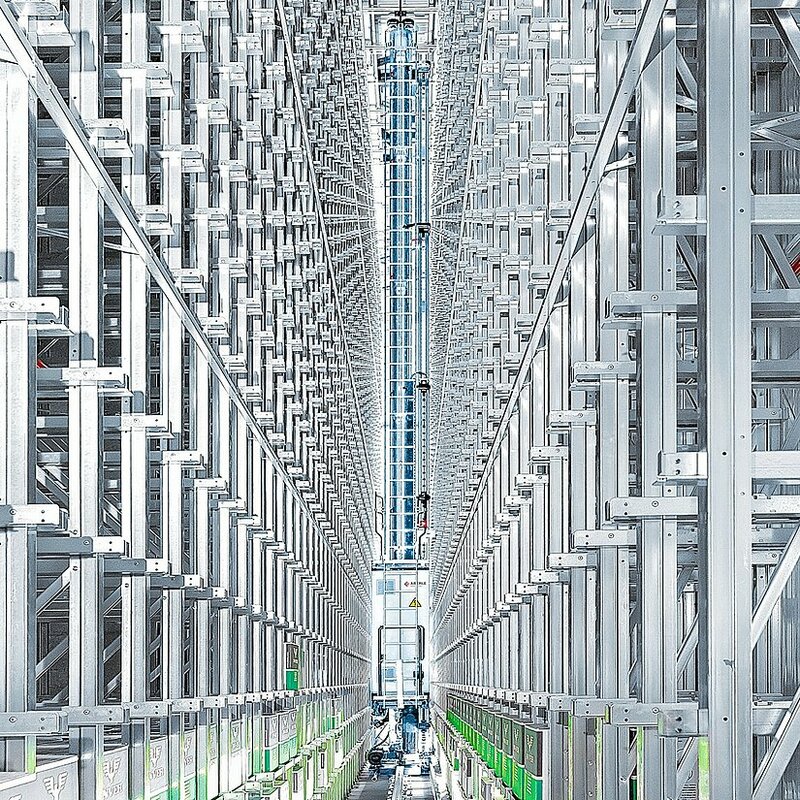 The Körber experts teamed up with NavVis, and within just a few months the partners had developed a pilot solution for 3-D engineering in an industrial environment. Within the framework of the innovation process, we’re now even willing to take the risk of making mistakes and then trying out something different just as quickly. That’s because it’s the only way to establish new innovative approaches that will benefit us over the long term. Actual investments in start-ups are made via the Group, as was the case with Magazino. 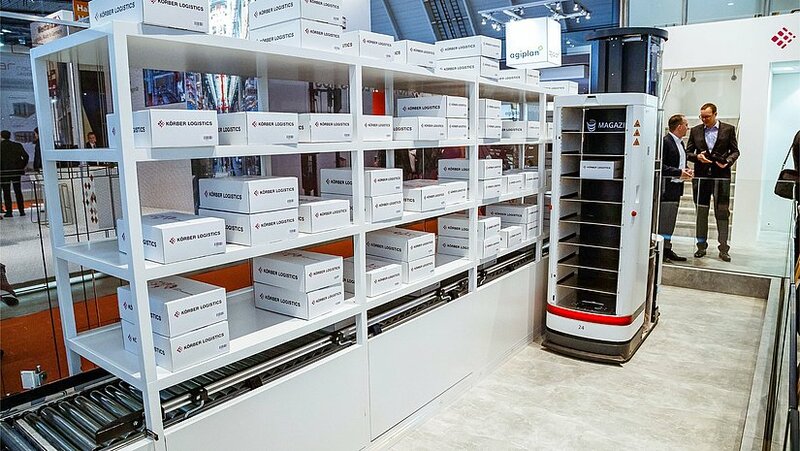 This investment by the Körber Group gave the Business Area Logistics Systems access to a promising technology of the future in the form of TORU — an autonomous order picking robot for mail-order companies and the online retail sector. “We analyze potential investments very closely in order to determine which investments or partnerships offer us the greatest potential — for example by giving us more rapid access to new technologies or process solutions or allowing us to enter new markets or address new customer groups,” says Stefan Kirschke, Chief Financial Officer at Körber. The Group is also supporting the Next Logistics Accelerator (NLA) in Hamburg as an investor. The focus here is on entrepreneurs with business models from the field of intralogistics in particular, which involves managing material and merchandise flows within a warehouse or factory site. 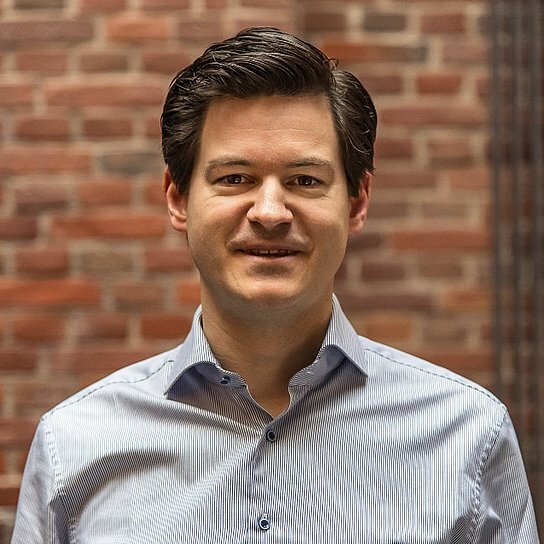 “NLA brings us together right at our front door with promising start-ups such as SmartLane and SensorTransport, which have already succeeded in developing an initial product that’s relevant to us,” says Dr. Bahke. At the same time, it’s not so much the financial aspect of an investment that’s important but rather the “strategic fit” with Körber’s technology and customer portfolios. For their part, the young teams at the start-ups the Group invests in are given the opportunity to further develop their business ideas with Körber Logistics Systems. 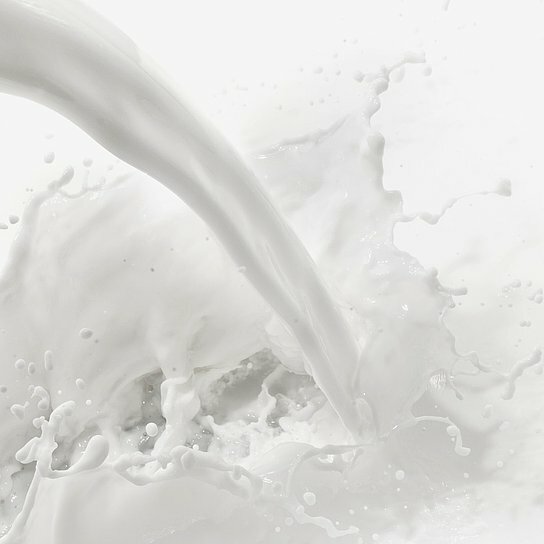 With its group-wide digitization offensive, selected long-term equity investments, and partnerships with young entrepreneurs, the Körber Group is looking to generate one third of its sales with digital solutions by 2025. And it has already gotten off to a great start. Precise picking of individual items: The autonomous commissioning robot TORU from the start-up Magazino. Driving the digital advancement: By joining up with Magazino, Körber has secured access to a key technology for itself. Retrofit: Aberle helps companies switch to state-of-the-art intralogistics while continuing daily operations. Körber Logistics Systems: Innovative solutions for the end-to-end supply chain — from a single source.